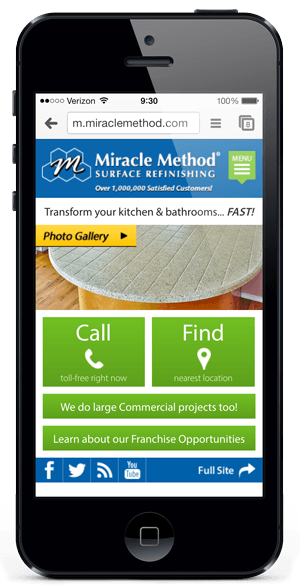 Miracle Method's content-heavy site needed some refinishing for it's mobile visitors. With devices of all screen sizes and capabilities saturating the market today, companies have to work harder to get information in front of customers when they want it, how they want it. And in the mobile space, less sometimes really is more. With 150 locations spanning North America, Miracle Method Surface Refinishing has a lot going on. So did their website. Built before "responsive" was all the rage, their site presented a sub-optimal experience for mobile customers. The result? Conversions were down as mobile traffic was rising. So they called Convey. Our solution was centered around asking a deceptively simple question: "What do your mobile users want that makes them unique?" We discovered that mobile visitors to Miracle Method's site mainly wanted to do two things; find the nearest franchise or call to start a job. These customers were ready to commit — they just needed to know how to connect. The results were astounding. Conversions from mobile visits shot through the roof. In the quarter it launched, the laser-focussed mobile site began generating more leads than it's content-rich big brother. For Miracle Method, their mighty little site has made a big change in conversion rates and lead generation. For Convey, it was all in a days work. Companies have to work harder to get information in front of customers thanks to devices like the one you are holding. Miracle Method Surface Refinishing has a lot going on. So did their website. Their site presented a sub-optimal experience for mobile customers, so they called Convey. Mobile visitors wanted to do two things; find the nearest franchise or call to start a job. So, we built them a site that did just that. The results were astounding.  In the quarter it launched, the laser-focussed mobile site began generating more leads than it's content-rich big brother.